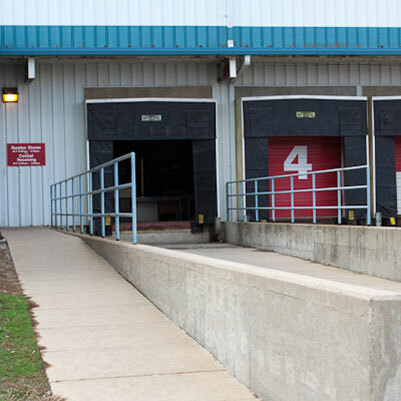 To accommodate the relocation of the IU Food Services and the IU Printing Services from the Showers complex, renovations were made to the Indiana University Warehouse located at Range Road on the IU Bloomington campus. The new IU Food Services and IU Printing Services facilities occupy space within the existing warehouse building used for the Surplus Stores and general storage. Work included new construction, the renovation of existing spaces, and upgrades to the existing building utility infrastructure.